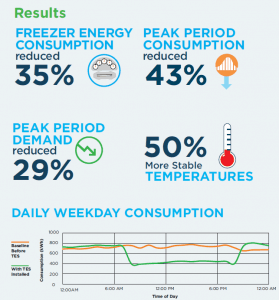 Thermal Energy Storage (TES) is an effective energy savings strategy that allows thermal energy to be stored when electricity is less expensive and used later when prices are higher and utility demand charges and consumption are at their daily peak. 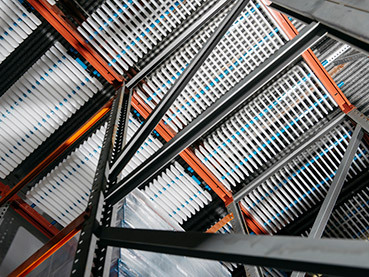 TES systems have been in use for decades, mainly in HVAC applications to lower energy costs and ease demand on the electrical grid. 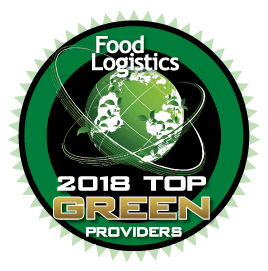 Butterfield and Vallis, a leading food distributor in Bermuda, is saving over 40% of their electricity consumption using Viking Cold’s Thermal Energy Storage Solution. 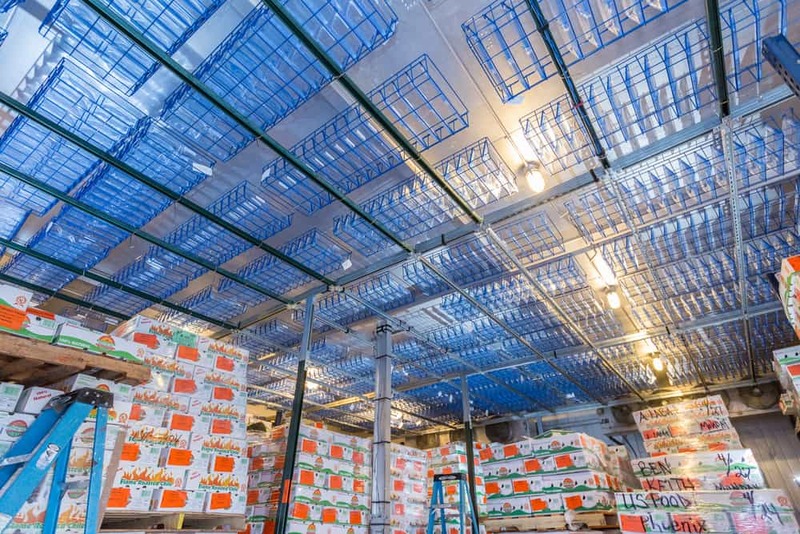 Viking Cold’s patented thermal energy cells were installed in the ceiling of Butterfield and Vallis’ 10,000-square-foot warehouse freezer in 2015.